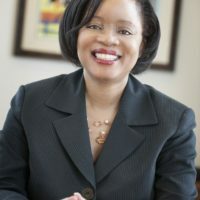 Stephanie Wiggins, Deputy Chief Executive Officer for the Los Angeles County Metropolitan Transportation Authority (Metro), most recently served as Executive Director of Vendor/Contract Management for Metro. She has more than 20 years of experience working for transportation agencies. Prior to Metro, she served as Regional Programs Director for the Riverside County Transportation Commission and oversaw transit, commuter rail, rideshare, goods movement and rail capital projects. She is a member of the Transportation Research Board (TRB) Congestion Pricing Committee, TRB Research and Technology Coordinating Committee, and serves as a WTS-Los Angeles Chapter Board member. She has a Bachelor of Arts degree from Whittier College and an MBA from the University of Southern California.